Well I thought I'd kick off this blog malarkey with one of my favourite images from the amazing trip to Mongolia last August while on assignment for Onelife Magazine. On the last day of the journey we stopped off around 50km north of Ulaan Baatar to shoot the newly erected gargantuan as part of the story. 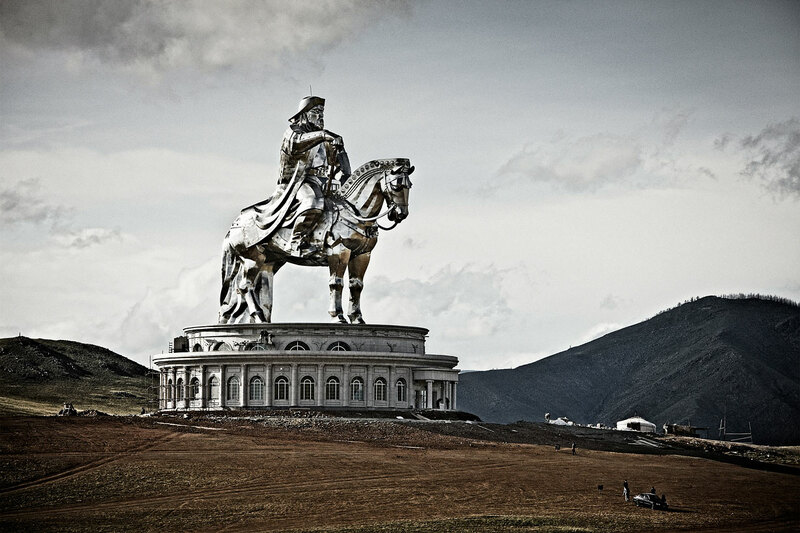 The stainless steel statue of the greatly revered Chinggis Khaan is at least 40m tall and is so magnificent that on more than one occasion this image has been mistaken for a fake. Well there's no CGI trickery with this one... just a straight shot of a bloody great statue in the middle of nowhere. Sweet.